Group chats provide platform for buying and selling, and daily trade volume of a single group can reach 10 billion yuan. A new scheme that connects China's local bonds with Hong Kong promises to open the country's $9 trillion debt market to global investment - but investors venturing into the mainland are coming to terms with the massive community that does business not on trading platforms, but social chat apps. 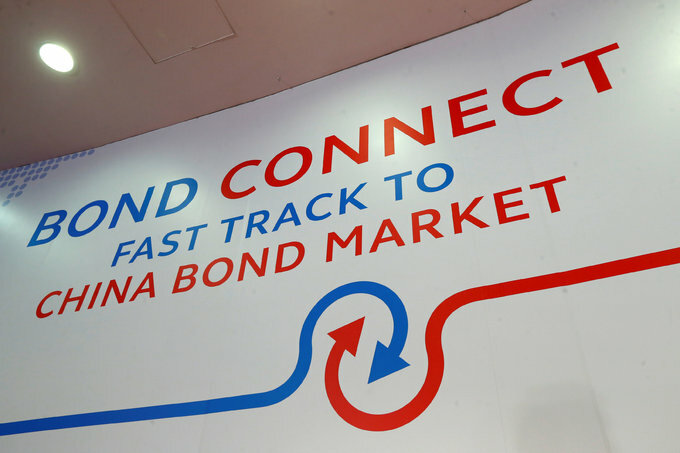 The "Bond Connect" programme launched this month allows international investors to buy and sell in China’s historically restricted interbank bond market through a Hong Kong trading gateway, and has been hailed as a milestone in the opening up of the country’s capital markets. On the mainland, however, much of the turnover in the bond market is generated from informal chat groups on QQ, a mainstream Chinese mobile chat app, where individual investors look to buy, sell, borrow and lend. In these social chat versions of old-fashioned open outcry sessions, the raw market emotions of fear and greed are played out with emojis and colourful language. "One QQ group that I belong to has trading volumes of 10 billion renminbi in one day," said a trader at a Shanghai-based asset management firm, referring to trades that originate in the chat groups. She asked not to be named because of relationships with data providers. This volume dwarfs the 7.05 billion yuan traded through the entire Bond Connect on its first day of operation on July 3. While there is no data showing the aggregate trading volume on QQ, the Shanghai-based trader said it is one of the most popular platforms for mainland bond trading. While buyers and sellers meet in the chatrooms, the trades are not conducted within these groups. Instead, traders invite counter-parties to open private chats, usually still in QQ. Launched in 1999 by Tencent Holdings, QQ was once the country's most popular chat platform. In recent years, it has been overtaken by WeChat, also owned by Tencent, but still boasted 861 million active users as of the end of March 2017. Users tend to be young: Tencent says more than 60 percent of active QQ users were born after 1990. And traders say it's the key to participating in the world's third-largest bond market. A trader at an Asian bank in China, who asked not to be named, said that she uses QQ for more than 90 percent of her trades, even though the practice is officially discouraged by her bank for security reasons. While messaging apps are used in other countries to set up trade orders, the scale of China's bond market and its historic isolation from the rest of the world have led to the evolution of a unique chat group trading culture on the mainland. "Through the open platform and QQ groups, we enable our users to be connected to online content developers and a diverse range of interest groups," Tencent said in an emailed response to Reuters' queries for this story. One such chat group seen by Reuters was filled with more than 1,700 traders, their messages interspersed with the emojis common to QQ group chats. An animated character being squeezed by an red-eyed snake accompanied a desperate message from a trader at a rural credit cooperative: "Need help! Large quantities of overnight money." The highly informal nature of this part of the market and the exclusive use of Chinese language present barriers for many foreign investors trying access the bond market through QQ. However, these ad hoc methods also reflect the fact that price discovery in bond trading is still less efficient than it is on electronic stock trading platforms -- even in Western markets. Andy Seaman, chief investment officer of London-based Stratton Street Capital, says most bond trades at his firm are still done by phone. "The problem with bond trading in the West is that there's very little appetite from the banks to take any risk, which usually makes it quite difficult to encourage trading," Seaman said.